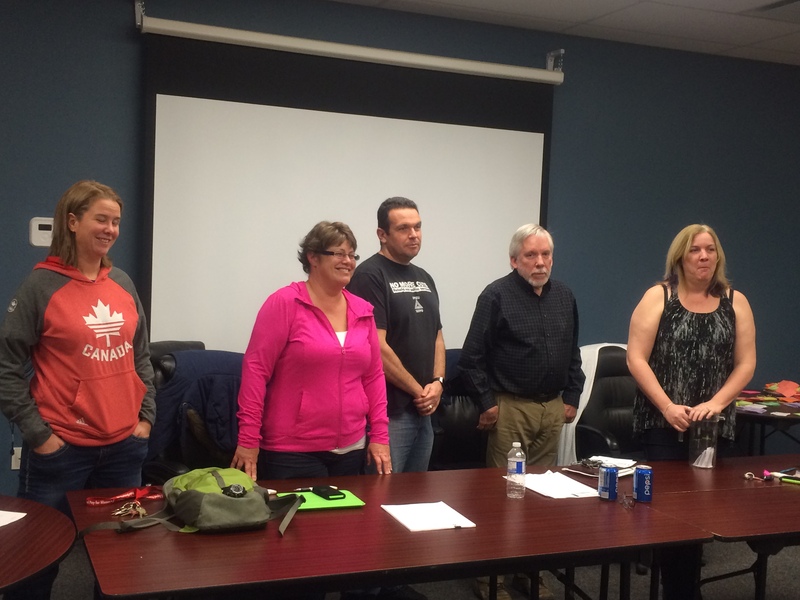 OPSEU LOCAL 166 – Representing over 1000 members and 5 different bargaining units. The negotiating team representing the OPSEU members of Craigwood Youth Services Local 166 met with the employer to exchange demands and have 4 dates scheduled to discuss the demands. Stay tuned for details…. Royalcliffe Ratify’s a Tentative Agreement!!! The bargaining team of Royalcliffe and staff were able to reach a tentative agreement, ratification to follow. This round of bargaining was very difficult for the team but they remained united on their demands. The members in this unit will see a significant pay increase when the minimum wage increases to $15. The starting wage for many of the members in this unit start at $12.55 and tops out at $14.01. Craigwood Youth Services Avoids Strike !!! The members at Craigwood Youth Services voted in favor of the accepting the final offer from the employer after nearly 3 years of bargaining their expired contract. The bargaining team successfully fought off a very long list of concessions! They are back to the table in only 13 months. The OPSEU Local 166 Day at East Park Was Another Great Success!!!! Over 250 attended this years East Park Event. Members brought friends and family members who enjoyed the great food and activities while getting an opportunity to network with each other. The weather was perfect and a special thanks to everyone who helped out this year!!! 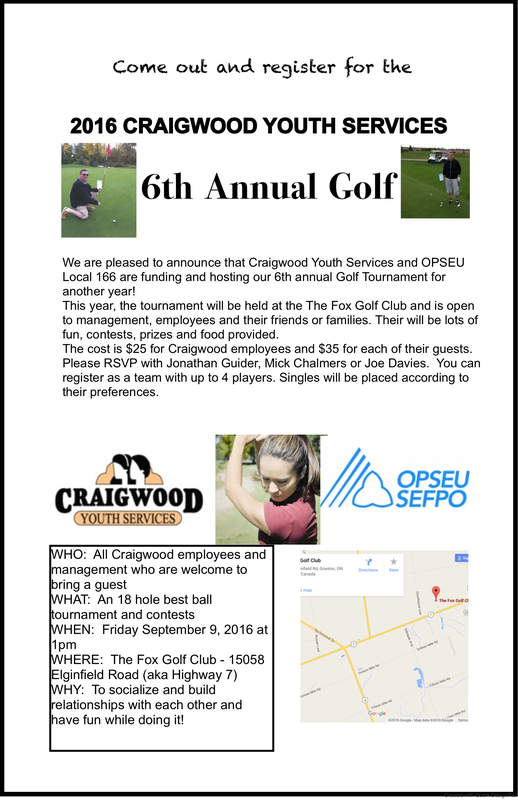 Craigwood Golf Tournament – get signed up! 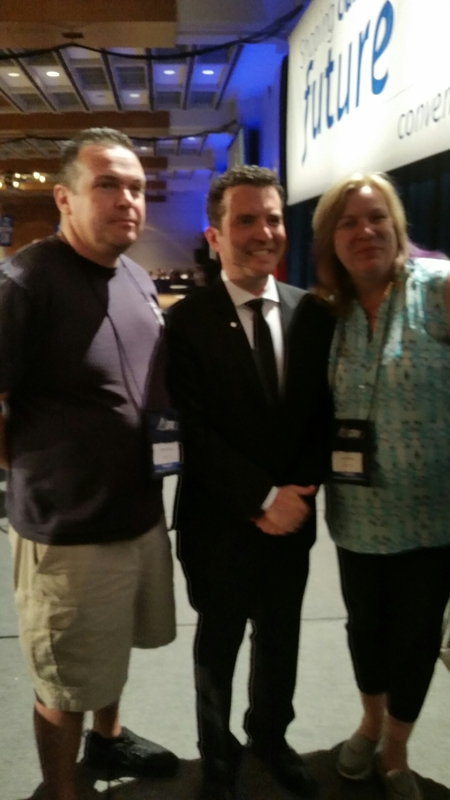 Rick Mercer accepted the Stanley Knowles Humanitarian Award and referenced the “Spread the Net” project. OPSEU donated $5000 and challenged locals to donate. 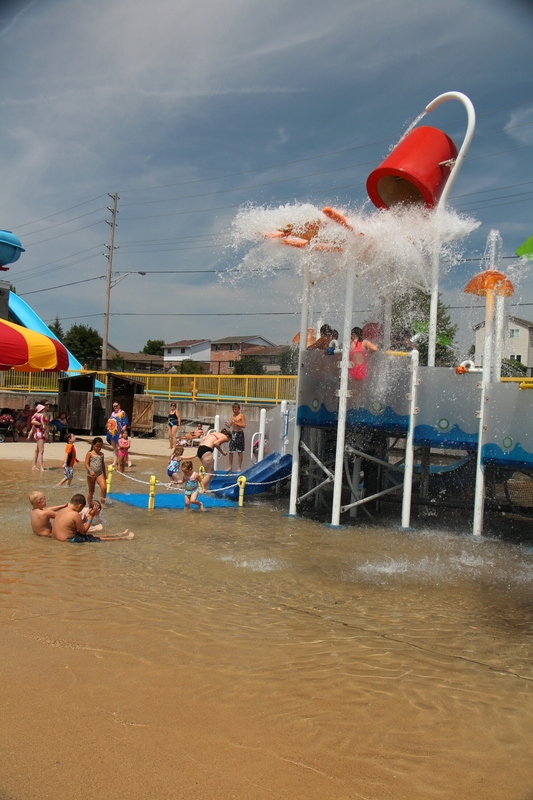 The LEC for Local 166 held a vote and Unanimously decided to fund another East Park Family Day. Stay tuned for details!